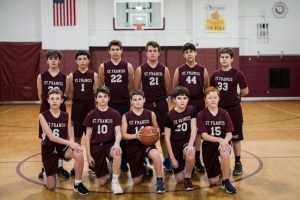 The St. Francis extracurricular sports teams have a “no cut” policy – all students who wish to participate on an athletic team are able to join. Coaches are experienced and encouraging. 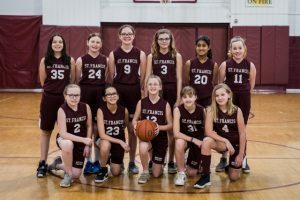 As of the 2018-2019 school year, we have joined the Catholic Youth Organization (CYO) League of Detroit. Physical Forms – Please have all physicals ready to turn in to the athletic office before your child can practice/compete. The MHSAA Physical Form must be dated after April 15, 2018 for the 2018-2019 school year. Participation Fee – All sports will have a $60.00 participation fee per child. This will allow the athletics programs to be sustainable, while providing the best possible experience for the athletes! 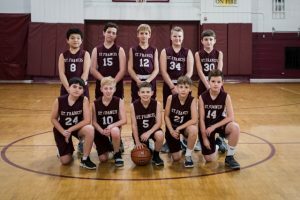 This helps with paying our CYO dues, referees for competitions, maintaining athletic uniforms, keeping equipment up-to-date, etc. Boys’ basketball takes place in the late fall/early winter. It is currently open to 5th – 8th grade students. Practices begin in mid-November and continue through mid-January. The boys play 1-3 games a week and several tournaments throughout the season. Cross Country is a fall sport that is available to all 5th-8th grade students. Athletes participate in 5-6 meets throughout the season. Races are typically 2 miles. 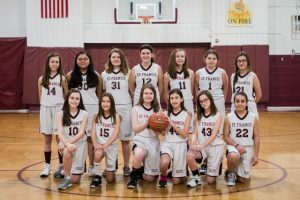 Girls’ basketball is a winter sport and is currently available to 5th – 8th grade students. Practices begin in mid-January and continue through mid-March. Team members typically play 1-3 games a week and several tournaments throughout the season. 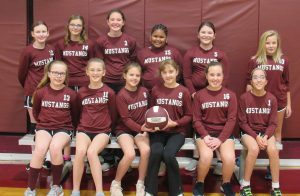 Girls Volleyball is a fall sport that is available to 5th-8th grade students. This will be the first year for all levels to be participating in the CYO league of Detroit. Competitions will be held primarily on Saturdays and Sundays. Soccer is a fall sport that is available to 5th-8th graders. Practices begin the first week of school and continue through the mid-October. The students participate in 1-2 matches per week during the season plus tournaments. The soccer teams this year will be joining the CYO league of Detroit, with competitions primarily on Saturdays and Sundays. 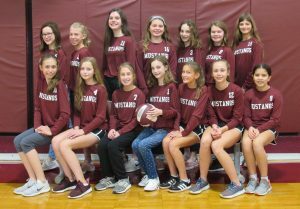 Track and Field is a spring sport and is available to all sixth-, seventh- and eighth-grade students. Practices begin at the end of March and continue through the end of May. Our athletes compete in individual events and have 5-7 meets per season. 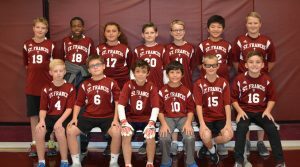 The purpose of this organization, as adopted in February 1984, is to provide support for physical education and athletic programs for students of St. Francis of Assisi School. 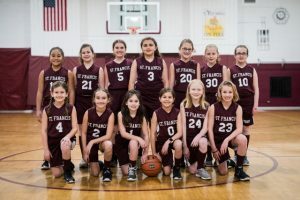 All parents in St. Francis School are eligible to become members of the Booster Club. 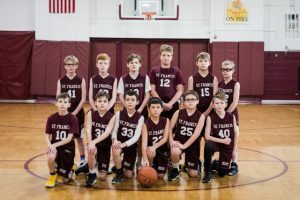 The $50.00 membership dues allow our families to gain free admission to all St. Francis home games. 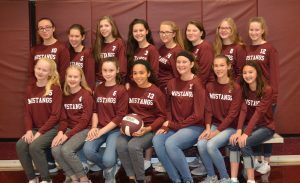 In addition, there is a sponsorship level of $250.00 or more, which will allow the donor to have their name or business posted annually on a banner in the gymnasium. 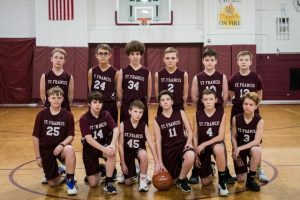 Contact our Athletic Director, Mike Smith for more information at athletics@stfrancisaa.org and 734-821-2206. The Lou Hollway award is given at the end of the year with academic awards. This award is given to an eighth-grade boy and girl who display great leadership skills and outstanding sportsmanship. Lou Hollway was a nationally recognized Ann Arbor Public Schools’ athletic director and St. Francis parishioner. The Dan Jilek award is given to a seventh-grade boy and girl who display great leadership skills and outstanding sportsmanship. Dan Jilek was a dedicated St. Francis parishioner, school parent, athletic supporter and former U of M football player. He gave many hours to the St. Francis athletic program and Booster Club. The Joe Maierle award is given to an athlete who reflects Mr. Maierle’s dedication and character in sports. Mr. Maierle was an athletic director, assistant principal, physical education teacher and coach.